Newport Beach – Adena Rothbard scored a free-position goal in overtime to help No. 6 Newport Harbor outlast No.9 San Juan Hills 15-14 on Thursday at Newport Harbor High School. “I think this game, we really tried to focus on really going 150% to every single ball, every single draw and really setting the tone of the game. 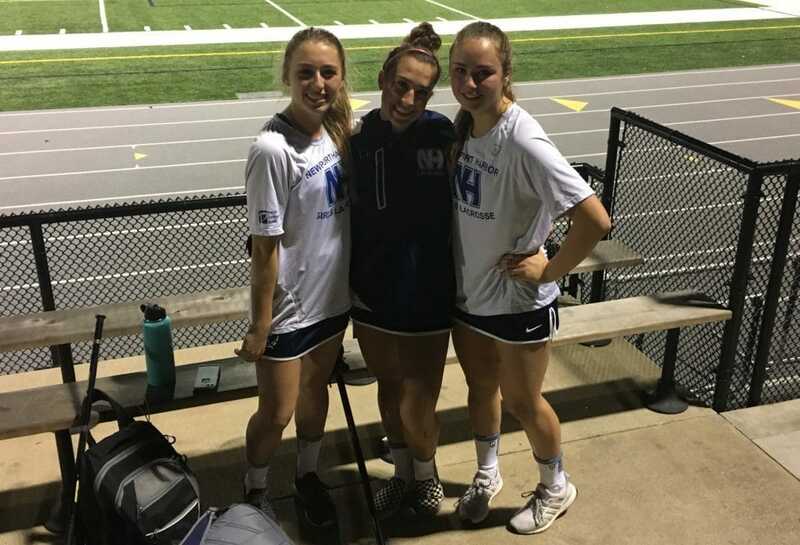 By playing as a unit, we were able to pull through in the end,” Newport Harbor coach Brooke Martini said. In a scene eerily reminiscent of Tuesday’s blowout loss to St. Margaret’s, the Sailors quickly fell behind the Stallions 5-1, forcing Martini to take a timeout. The Sailors settled down after the timeout and then got hot at the end of the half, rattling off five goals in a row to take an 8-7 halftime lead. The Sailors’ momentum carried into the second half and pushed their lead up to 11-7. Now it was Michael Welter’s turn to settle his team down with a timeout. The timeout worked, and the Stallions scored three straight goals to pull within 11-10 with 15:44 left to play. The two teams went back and forth until the Stallions caught the Sailors at 14-14 when Taylor Austin scored the equalizer at the 3:10 mark of the second half, forcing Martini to use a timeout. The Stallions had one last chance to win it, as they took the ball on the breakaway and found an open look. But Newport Harbor goalie Willa Rath made a big save to prevent the goal. In overtime, the Stallions won the draw control and tried to get a good look, but couldn’t capitalize and turned it over. The Sailors made the most of their offensive possession, as Rothbard was able to earn two free position shots, and on the second she found the back of the net to give her team the win. “I was super nervous. I was contemplating taking it because we couldn’t lose possession, but I had a feeling it was going to work out and I knew if we didn’t then we’d have a strong defense to get the ball back,” Rothbard said. Rothbard finished with four goals while Mariana Miller led the Sailors with five goals and Joelle Rothbard finished with three goals. Caroline Farley contributed to the Sailors’ offense with two goals while on the defensive end, Rath made nine saves. For San Juan Hills, Bridget Cain led the way with six goals while getting scoring contributions from Austin (four goals), Lucy Hodge (three goals) and Nicole Strauch (one goal). Cain also chipped in five groundballs and controlled 16 draw controls. Both teams return to action on Saturday. The Sailors (2-2) play Park City, Utah at 3 p.m. while the Stallions (1-3) play at No.5 San Clemente at 2 p.m.